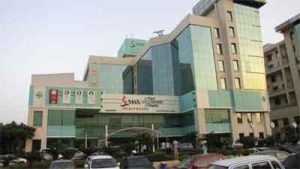 Lucknow : Leading healthcare provider Max Smart Super Specialty Hospital has launched Orthopaedic & Joint Replacements OPD services in Lucknow. The announcement was made here by Dr Ramneek Mahajan, Director, Orthopaedics and Joint Replacement here. The OPD is aimed at enabling the residents of the city and its neighbouring regions, with greater accessibility to quality orthopaedic services.